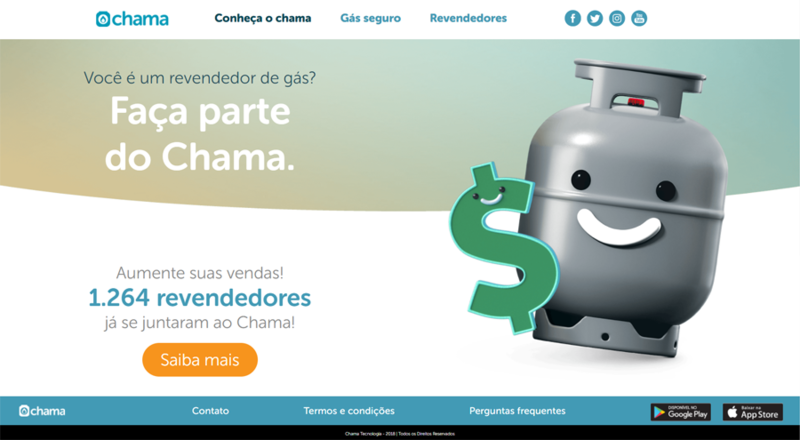 Chama is an app that bridges gas cylinder distributors and people in need of buying the product. 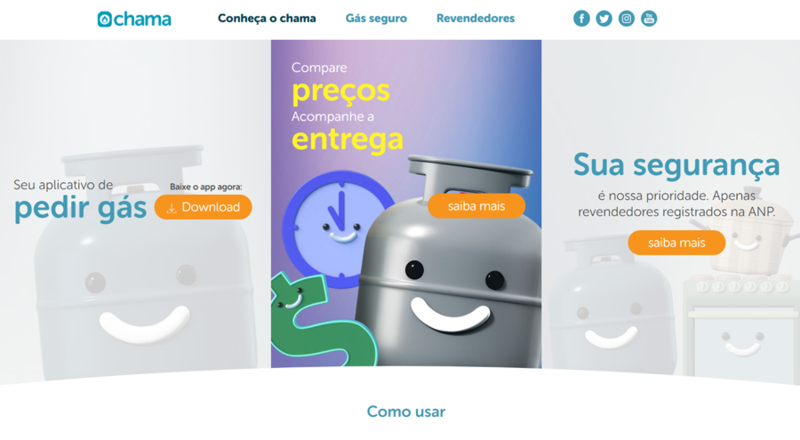 It is the best ranked gas cylinder delivery app in Brazil, and Webcore was responsible for the creation of its new website. 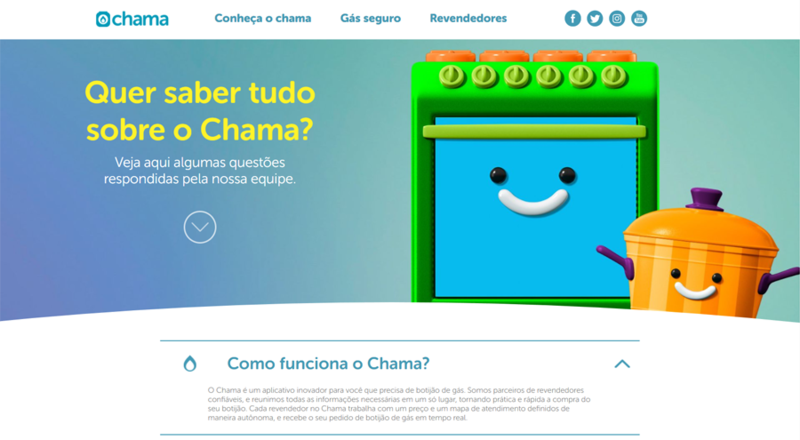 With an interactive new design, the website introduces the app and clears any doubts of both who are interested in buying and selling through the platform.